These general membership provisions are part of the internal regulations. Above all, the statutes of the REN BU KAN association, in the event of any inequality between these general membership provisions and the statutes, the statutes are decisive. The member enters the membership for at least 3 months, if the member wants to stop after those 3 months, the members need to cancel according our cancellation policy (see below). The membership only ends if this is done in writing (letter / email secretaris@renbukan.nl) to the association REN BU KAN with due observance of a notice period of 1 calendar month. 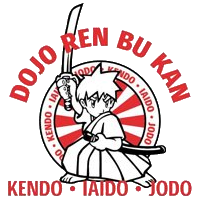 The membership can be terminated immediately by Ren Bu Kan association, and access to the dojo can be refused at any time if the dojo management deems this necessary. Payments must be made before the first month of a quarter by means of transfer to the Bank account of REN BU KAN. The statutory obligation to pay contribution must always be met. Also in case a lesson / the lessons can not continue for whatever reason. The REN BU KAN Association may release a member from payment for an indefinite period if the member so requests. The request for exemption must be made in advance and in writing (letter / email secretaris@renbukan.nl) with a notice period of 1 calendar month. The REN BU KAN association, as well as the dojo management, is not liable for any accidents or loss of the property belonging to the member in the dojo and / or adjoining rooms. The member relieves the association REN BU KAN, as well as the dojo-guidance by signing the registration form or entering into membership via our website, of any liability. These provisions apply to both members and aspirant-members. By signing the registration form or entering into membership via our website, the member declares to agree with these provisions. If the (aspirant) member is a minor, his / her parents, by signing the registration form or entering into membership via our website, agree with these provisions. The board of association REN BU KAN reserves the right to change these provisions at any time. Responsible budo practice is only possible if you obey to a few rules. The behavior in and around the DOJO must be in accordance with the nature and spirit of bushido. Discipline, respect and diligence must be shown, both for the BU and for the attendees. Wearing Keikogi and Hakama is mandatory after six months of membership. Shinai, Jo, Bokken and / or Iaito must be of good quality and be free of defects, and must also be submitted to the Dojo management for approval. By clicking "Subscribe" you agree to the general membership provisions.